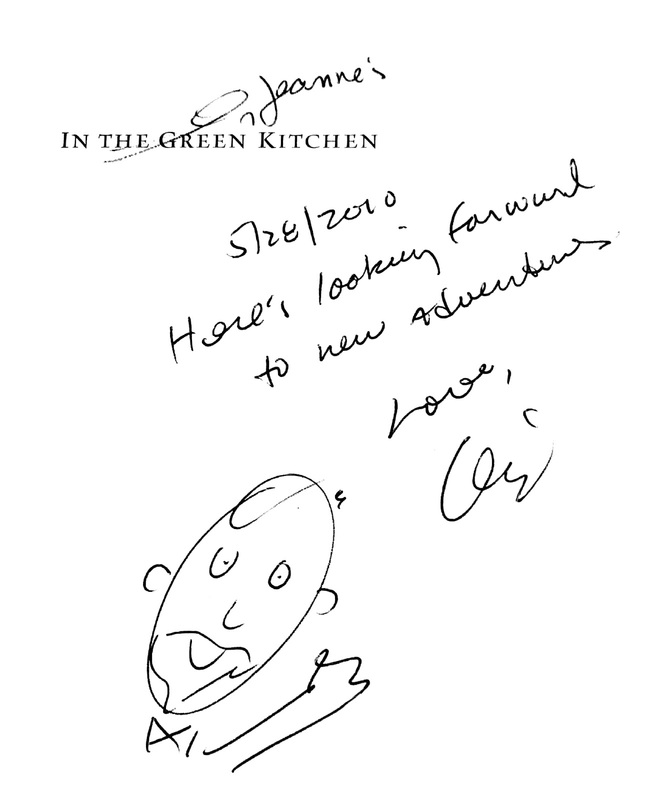 When Jeanne retired just a little over seven years ago, we looked forward to new adventures - some travel, some leisure, maybe a few new hobbies. 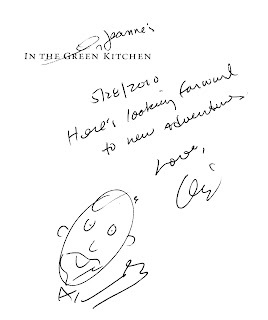 I gave her a copy of the cookbook by Alice Waters, "In the green kitchen." Jeanne never really cooked much. I was happy to take on that chore when we married, but she often said she'd like to learn (from somebody that wasn't me). This book seemed like a good way to help get her started. Our new adventures weren't what we expected - they turned out to be the kind of chills and thrills you get with a diagnosis of a life-limiting illness, in Jeanne's case, mild cognitive impairment that progressed to Alzheimer's. She died less than 6 years after she retired. Two years ago I planned our last trip together to a cottage on Buzzard's Bay where we vacationed each summer. I contracted with Community Nurse Home Care in Fairhaven for private care givers who stayed with Jeanne 4 hours every day, while I took a break, did some errands, and otherwise tried to figure out what we else would need in the coming months. I recently visited with some of the people there who helped us, to give them a long-overdue "thank you." I brought along a fresh-baked loaf of bread, using a recipe by Jim Lahey featured in Water's book. Lahey's "no-knead bread" is also one of the most popular recipes to appear in the New York Times. Rather than repeat the simple steps, here's a link. 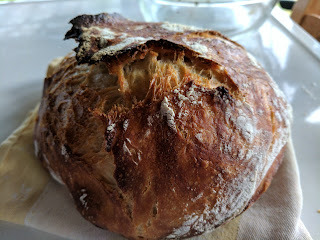 And here's a loaf I made.